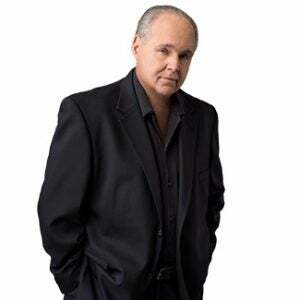 RUSH: I mentioned earlier in the program that I had this massive story here — turns out it’s New York Magazine — on all of the things that have happened inside the Deep State, the administrative state, that are unraveling so much of what the liberal Democrats have instituted throughout the bureaucracy in decades. It’s a New York Magazine story by Nick Tabor. And I got the print size down to six pages. Do you realize how big that is? That’s what was happening during the last year and a half to two years of the Obama administration. When trainloads of Central American kids without their parents were arriving in the United States, the Obama administration was taking ’em off the train and moving ’em all over the country and placing them in individual families. The objective of this was to get these kids in the country. You’re a parent, you’re a family in Central America, you let your 9-year-old get on a train for 36 hours with other people, not you, all through Central America and up through Mexico into the United States. You let that happen. The idea was once these kids get here then they can ask for their parents and the objective was this is how — remember, the Democrats need a permanent underclass. They need a permanent group of people that can’t basically take care of themselves, that need a political party and the government to do it. Trump has ended that program. You haven’t heard a thing about this, but it was a big, big deal. Do you remember, I think it was Rancho Murieta — it was a Rancho something where the people that lived there refused to let the bus bringing a bunch of kids into town. A program for child — and it was a program. We were led to believe that this was just randomly happening, that was war-torn Central America, El Salvador, Guatemala, whatever it was, circumstances were so bad that parents were putting their kids on the train to safety. It was a program. It was an Obama administration program. Trump is phasing it out. In the past, all you had to do was claim political strife and you could be granted asylum. Not the case anymore. “Green cards are taking longer to obtain.” There’s eight major changes in immigration without any legislation. This is simply the reversal and the unraveling of previous executive actions and orders by Obama and previous presidents. And all eight of these are things Trump promised to do. And you haven’t seen a news story on very much of it because Trump isn’t ballyhooing it. Every time one of these changes is made, he doesn’t go to the podium and single it out. It is all happening behind the scenes, but it is happening. And this New York Magazine reporter dug all this out because he’s trying to sound the warning bells to his buddies on the left that there’s real damage taking place to the leftist regime. Under the topic of criminal justice: “Federal prosecutors have been stripped of their discretion and ordered to seek maximum penalties.” That’s from the attorney general. That order was issued in May. “A police-department reform program has been cut off.” Well, you know what that is. That was the Obama administration taking over local police departments. Ferguson, Missouri; Baltimore. They would demand that these local communities sign consent decrees that would essentially allow the Obama the Department of Justice to take over local police departments after those local police departments had been accused of racism and a number of other isms. That the claim was citizens in these communities were being unfairly discriminated against. Well, that reform program has been cut off. “After the Department of Justice sued the police in Ferguson, Missouri, and ordered the department to clean up its act on race relations, the DOJ created a program where other police departments could seek similar guidance, but on a voluntary, cooperative basis.” It never was voluntary. Eric Holder demanded it. “Police departments in Philadelphia, San Francisco, and Las Vegas –” there were 30 of them that were essentially taken over by the Department of Justice. Jeff Sessions effectively cut off the program and channeled the money to groups like police unions. The money that was being spent to co-opt local police departments is now going to police — have you heard this? “Education: Predatory loan companies now face less scrutiny.” Remember, this is written from a leftist perspective. It’s easier for for-profit colleges to rip students off. Folks, there are amazing number of things happening here. Reversing a bunch of cockamamie crap that the left has instituted. Nobody knows about it. It isn’t being reported. Trump’s not highlighting it. But don’t doubt me. This is just half the list. RUSH: Yeah, was Murrieta, California, not Rancho Murieta. So many Ranchos out there, there’s Rancho Cucamonga, Rancho Cacamunga. But this is plain old Murrieta where the buses were refused. By the way, folks, this list. “Environment: The U.S. has rescinded its commitment to the Paris climate accord.” That you knew. “The EPA is dismantling its Clean Power Plan.” That is an exclusive Obama plan. By the way, how about all of these freezing people in the Northeast who are trying to get by on wind power today? They’re having to resort to coal. The new green, clean, whatever, sustainable energy cannot keep people warm with this kind of weather up there. And they’re having to fire up coal plants. The price of energy is skyrocketing today in — well, it’s increasing. They literally could not keep people warm to keep them alive using leftist green energy. Windmills and that kind of thing up there in large parts of New England. “The Dakota Access pipeline is now open. And the State Department has approved construction of the Keystone XL pipeline. Thousands of acres beside national monuments have been auctioned off to oil and gas companies. The Arctic and Atlantic Oceans have been opened for more offshore drilling. The Department of Interior has given coal companies a break on land-leasing prices.” Coal companies are coming back in general. “Energy companies are no longer required to capture methane leaks when they drill on public land,” because it’s a bogus claim that methane is destroying the climate! So it’s getting cheaper here to drill on public land. Energy will be cheaper. “The EPA has canceled limits on the pollutants power plants can dump into waterways.” Don’t let that scare you. It was a bunch of garbage in the first place. There is so much being reversed that you’re not hearing a word about.